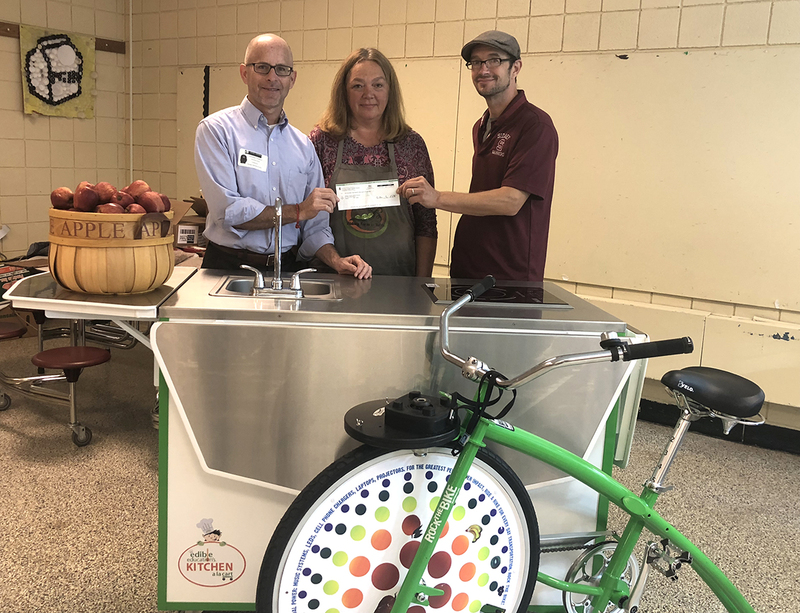 Thomas Hohensee, project coordinator for Creating Healthy Schools and Communities grant, recently presented a check for more than $10,000 to Food Service Director Kim Corcoran, and Sidney teacher and wellness committee member. The check is to be used for the purchase of pedal-powered blender bikes and a mobile cooking lab. These items will be used as part of the Sidney Farm to Table initiative to promote healthy eating. Creating Healthy Schools and Communities is a coordinated, multi-sector initiative designed to increase demand for and access to healthy, affordable foods and opportunities for daily physical activity in high-need school districts and their associated communities.